Haier was started by Michael Jemal a mere 10 years ago. In the short period of time the company has become one of the best selling companies for products such as Appliances such as refrigerators, laundry and microwaves. The company perhaps is more famous for Air Conditioners. 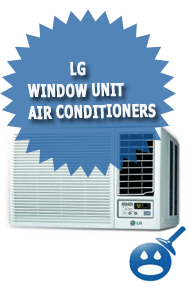 Their air conditioners are unmatched in what they can do and they are all energy efficient units. They carry window models, vertical or casement models as well as portable models. All of Haier Products are rated with the famous Energy Star Qualifications. Every shopper looks for the blue Energy Star label when they shop for any household appliance. Most importantly air conditioners, most people hesitate to use the air in the summer because they are afraid of huge electric bills. But with the Energy Star Labels they can rest assured knowing that the units they buy will actually save you money rather than spend it. 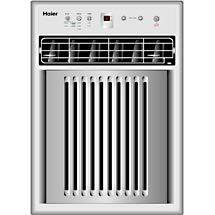 One of the most popular of the Haier inventory is the 8,000 BTU Casement/slider Air Conditioner or more commonly called Vertical Air Conditioners. The Haier 8,000 BTU Vertical Air Conditioner is a compact model only measuring in at 14-1/2 inches in width, 23-27/32 inches in depth and 20-15/32 inches in height. These are designed to fit any window. Finding an air conditioner can be very frustrating, the Haier 8,000 BTU Vertical Air Conditioner is a great choice and one of the best places to find one is in your local Wal-Mart store. Not only does Wal-Mart carry the 8,000 BTU units from Haier but also they offer a great low price of $ 298.00. Check your local Wal-Mart store and see what other great Haier products they have. The Haier 8,0000 BTU Vertical Unit offers a very quiet operation air conditioner. Most air conditioners run a bit loudly so we tend to make the TV or radio louder when our units are on. But with the 8,000 BTU from Haier, we don’t have to. The model is equipped with 3 cool settings and 3 fan settings. The a/c comes with a Digital Time Display and a Temperature Display. These two features will help you save money. Now you can see what temperature your unit is on and you can make the proper adjustments to help save you money. The unit is also equipped with a fully functional remote control and a fresh air vent. This combination can help you stay cool all summer long and not drive up your electric bills. The 8,000 BTU Haier comes with its own patented Enviro Clean Coil and the unit is protected with a Hydrophilic Resin Coated Indoor Coil. This feature help prevent any mold or corrosion that may start to build up inside the air conditioners. Many people choose larger size BTU’s to ensure that the units will cover the entire room. But often people buy a larger unit they don’t need or a smaller unit they don’t need. If you simply want to cool off a room, then you should keep the BTU’s low. 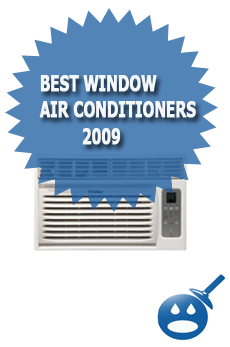 Most air conditioners have a thermostat that will measure in the air temperature of the room. Pay close attention to this, if you monitor the thermostat you can choose the proper setting. Haier recommends that if you have a room a between 151 to 350 square feet then an air conditioner unit between 6,000 and 8,000 BTU’s are sufficient. Buying an air conditioner can be time consuming. The best way to shop for an air conditioner is to use the Internet. On the Internet you can log onto your favorite store such as Wal-Mart and check out their inventory. See which models appeal to you like the Haier. You can see the specifications and benefits of each unit without driving from store to store. On the Wal-Mart website you can even see if the unit you want is in stock. 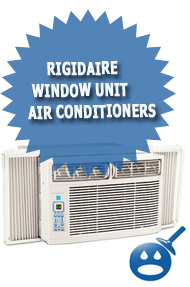 Haier Air Conditioners come in so many great models; they offer window units, vertical or casement units and portable units. See which style you want and Haier will have the perfect unit you are looking for. Haier Products have great customer reviews as well as industry reviews. They are energy efficient and they are very cost effective. Next time you are looking for an air conditioner unit, consider Haier, you may be well surprised. Hi,I read your new stuff named “Haier 8,000 BTU Vertical Window Air Conditioner | Wet Head Media” like every week.Your humoristic style is awesome, keep doing what you’re doing! And you can look our website about تحميل افلام.